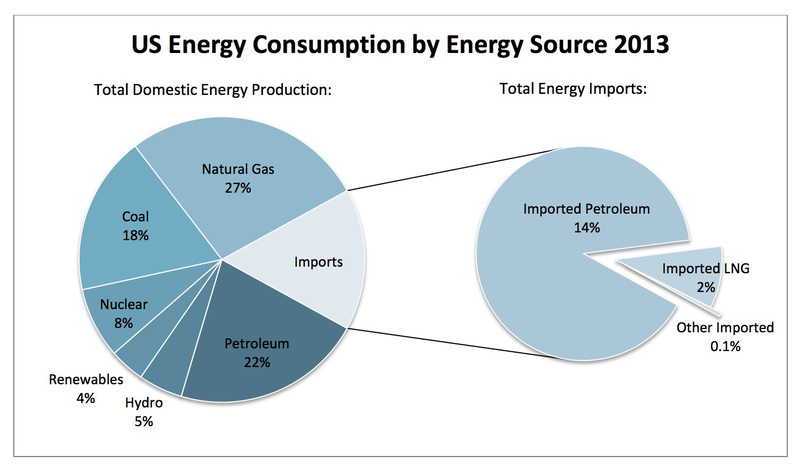 The U.S. consumed 95.9 quads of energy in 2013, or at least that’s one of several figures provided by the US Department of Energy’s Energy Information Agency. This particular figure comes from their interactive table browser, which I’ll be using for the rest of this post. That’s down from America’s recent peak consumption of 101 quads in 2007 and far below the leading energy consumer, China. We’re number two! The DOE expects the US to reach 107 quads by 2040, again something I consider a serious underestimate. My personal projection has America at 120 quads in 2040. But we’ll play with the DOE numbers here. We see that about 17% comes from non-emissive sources (including nuclear), a total of 16 ‘green’ quads (depending on your level of purity required for non-emissive status). How does that play out going forward to 2040? The EIA expects American use of coal to rise about 10%, from 20 quads to 22 by 2040. They also expect nuclear power to rise from about 7.7 quads in 2013 to about 9.2 quads in 2040. The EIA expects power from hydroelectric and other renewable sources to rise even more, from 7.9 quads to 11.9 quads in 2040. Given the negative press dams get in this era, it is safe to assume the EIA thinks that increase will come from wind and solar–with perhaps a nod to ethanol. So using the EIA’s numbers, about half of the projected increase by 2040 of 11 additional quads will be supplied by non-emissive energy–6 additional quads from nuclear, hydro and renewables. But the percentages will barely move from their current levels. Despite a heated political discussion, executive orders to the EPA, a concerted drive to put solar power on millions of rooftops, commercial solar and wind power plants across the country, the U.S. will not be generating a significantly higher percentage of non-emissive energy than it does today. It rises slightly to 20%. And if you prefer to use my higher totals of energy consumption (which are driven by population growth and increase in GDP), the picture looks worse. The same number of green quads will of course be a smaller percentage. Tom, you always frame the discussion in terms of consumption. Perhaps it would be difference without distinction, but it seems that everyone of those quads was produced and sold. Power is consumed after it is generated. It is generated at a cost/profit. The process employs a LOT of people across every energy medium. When I think on that, it makes the stark raving wrongness of alternative intermittent energy (aka “sustainable) even more clear: Just like foodstuff, just like real estate, just like power tools, people use energy to do things. They buy it from generator/distributors at a price that permits the consumer to make a tidy profit off of its consumption: get to work, manufacture stuff, power up servers, manufacture goods, market and deliver services, etc. Wind, being really expensive and undependable, is not every going to be a massive solution.